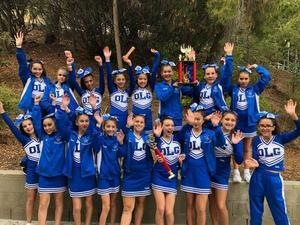 Congratulations to our OLG Lion cheer team for taking 1st place in the Junior Cheer Division and the Most Spirited award at the Sharp West Coast Championship! Go Lions! 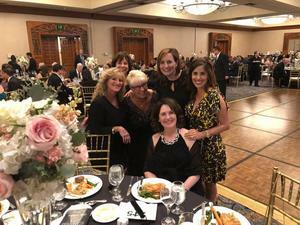 Thanks to the generosity of an alumnus of OLG who graciously matched this year's school improvement drive fund, we can top off the summer renovation work in first through fifth grades! Students and teachers will be receiving completely new furniture for each classroom in the east wing! We anticipate that by the new year in January, we will have each classroom in the east wing sporting all new furniture for our students that compliments the new paint, flooring, and cabinetry that was already installed over summer! Students this afternoon helped us bring out the old, and bring in the new chairs to their classrooms! The Church sets the month of November as a month in which to honor those who have gone before us marked with the sign of faith in the Lord. 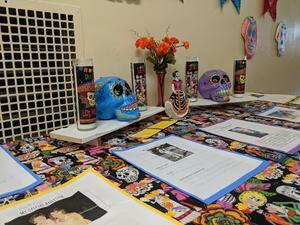 In many Hispanic cultures, this month-long vigil of prayer and honor for the dead is kicked off on All Souls Day on November 2, popularly known as the Dia de Los Muertos - or Day of the Dead. Various classes at OLG honored this wonderful tradition with beautiful artwork which calls us to remember our loved ones who have passed on before us! May they rest in peace! 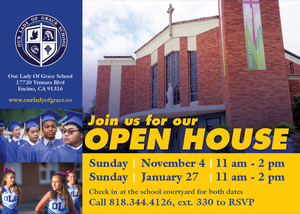 The Our Lady of Grace School community will be opening its doors for families who are interested in exploring all of the wonderful offerings of our school. 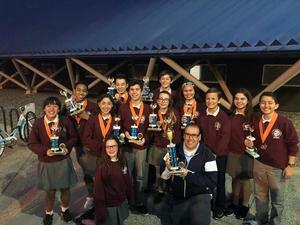 Join us as we celebrate Catholic education at Our Lady of Grace on Sunday, November 4, from 11 am to 2 pm in the school courtyard. Private tours will be available. Not available that day? Call us anytime for a private tour of our campus. See why time and again families who want the best for their children choose OLG.